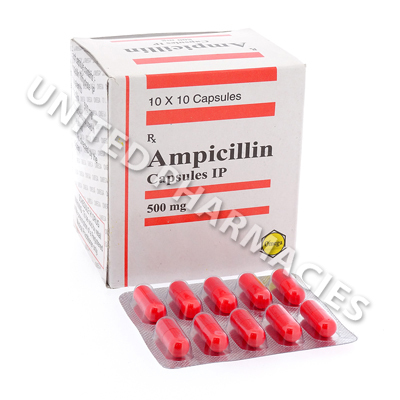 Ampicillin (Ampicillin) is a penicillin antibiotic medicine used for the treatment of infections where bacteria are the primary cause. It works by blocking the formation of bacterial cell walls. 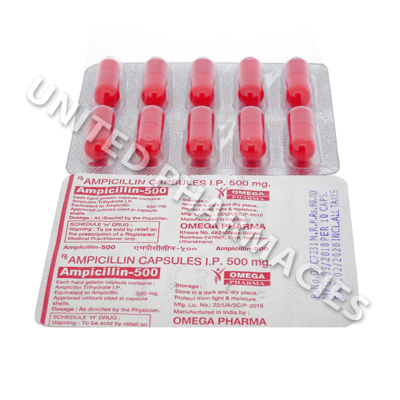 Ampicillin (Ampicillin) is a penicillin antibiotic medicine used for the treatment of infections where bacteria are the primary cause. It works by blocking the formation of bacterial cell walls. 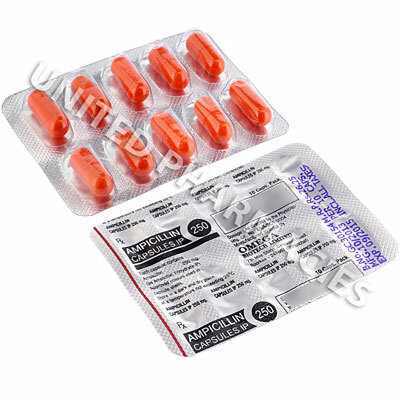 This antibiotic is widely used in the treatment of stomach infections, middle ear and bladder infections, sexually transmitted infections such as gonorrhea and may even be given to patients affected by endocarditis and meningitis (spinal cord and brain inflammation) caused by bacteria which are susceptible to it. This beta lactam antibiotic is effective against gram positive organisms and also works against certain gram negative bacteria. By attaching to the PBPs (penicillin binding proteins), it stops the process in which peptidoglycan is synthesized, thereby preventing the formation of the cell wall. This in turn leads to lysis of the cells (a process in which the cells are broken down, resulting in the destruction of the bacteria). As a result of this, the symptoms of the infection may be treated, allowing the patient to recover. 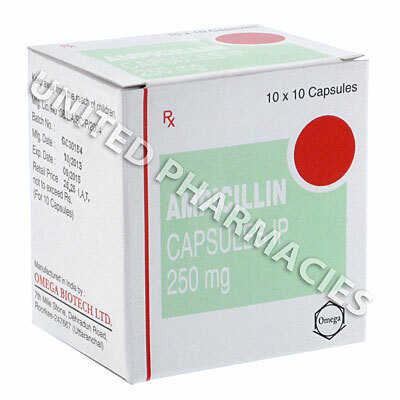 Ampicillin (Ampicillin) capsules contain 250mg of the active component and are taken on an empty stomach. Your physician will only recommend treatment with this medicine if the infection is known (or strongly believed) to be caused by susceptible bacteria. In some cases, adults treating pharyngitis, sinusitis or an upper respiratory tract infection have been instructed by their physician to administer 250mg every 6 hours. It is possible that adults taking this medicine for a urinary tract infection may be directed to administer 500mg by mouth every 6 hours, however in cases of severe infections, a different dosage may be needed in order to treat the symptoms. In all cases, you must fully comply with the dosage instructions that your physician provides you with. Do not make any adjustments to your dosage regimen unless told to do so by your physician. Treatment with antibiotic medicines requires finishing the entire course of medicine unless a physician instructs the patient otherwise. Report all reactions to your physician. Patients should be aware that severe side effects are possible (however, this occurs less commonly). You will need to visit your physician or the hospital straight away if you notice seizures, urinating much less than you normally would, fever or any other serious reactions that have not been listed here. Antibiotic medicines can sometimes cause patients who take them to suffer from colitis. If you notice bloody or severe diarrhea, see your physician straight away. This medicine is not effective for viral infections.